A stunning, long-standing (they've been there since 1790!) pub in the city with charming interior. You can the place for you wedding reception or birthday, or simply pop in for a pint and supper. I love this tavern because of the friendly staff, atmosphere and the surroundings. Staff are very helpful and food is delicious. It's unique location and friendly bar staff. I have been to the Lamb Tavern a couple of times recently and must say I have been very impressed by their staff and service, a real diamond in the heart of the city. I like lamb, I generally like taverns. What's not to like...?! Absolutely superb! Phenomenal customer service and even better food and drinks. I definitely recommend The Lamb Tavern for those who are looking for a great pub/restaurant. Fantastic, fun pub. Great service. Love the #thirstaiders ! Great location, great atmosphere, great restaurant! 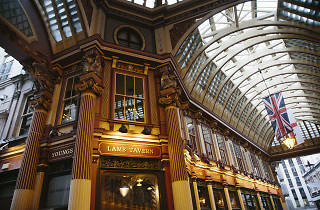 Perfect place for a beer or meal in the heart of the City, no matter what the weather. Great pub excellent service from thirst aiders and bar staff. One of the oldest pubs in the City with plenty of history and character. Great selection of beer! Recommend to all! Not many places in London still have such a warm, traditional feel, love it! 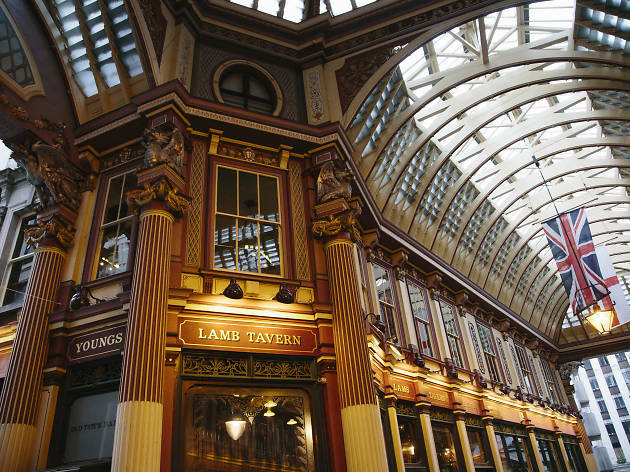 Hidden away in Leadenhall Market The Lamb is a great wee spot for a after work drink. Also check out Old Toms in the basement which is great place to get out the cold. My favourite after work drinking spot with delicious scotch eggs. YES!